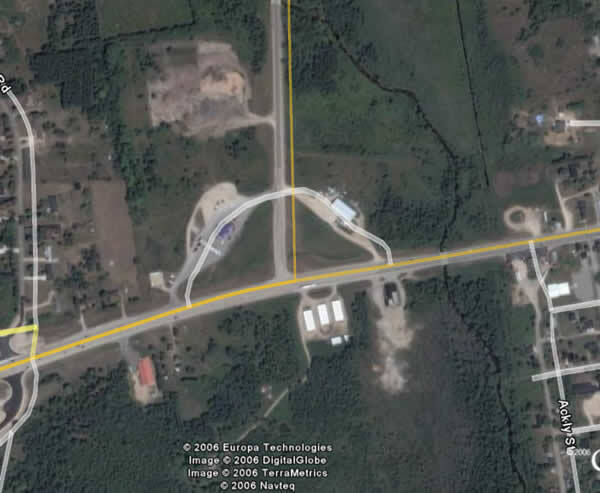 Based on the most recent information from Andrew the Libriarian, the pictures I took when I was in Rapid River have an excellent chance of being the drive-in as that is the intersection in which they were taken. Local confirmation will be needed to verify this. I located the picture in the 1955 Delta County Tourist Guide (7th Edition) on page 4. Also on page 4 is the following entry in the What To Do column: Theatres--Outdoor Drive-In. B&D Drive-In, Rapid River--individual speakers, refreshments. Hill-Top Drive-In--3/4 mile west of Escanaba on highway 412--individual speakers, confection cafeteria, children's playground, modern rest rooms. 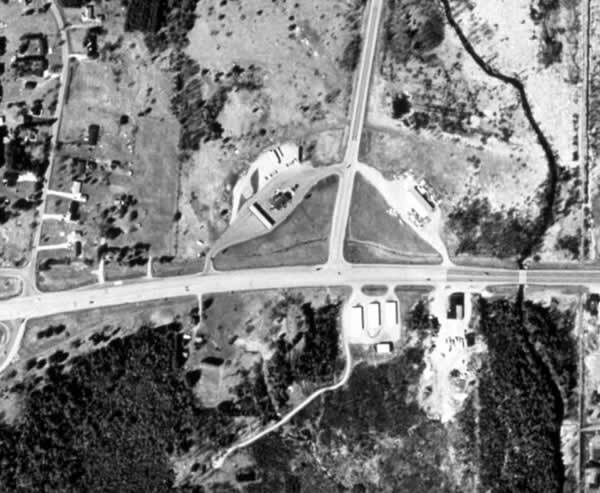 Kenmore Drive-In, under construction at the time of printing of this edition, is located on US-2 and 41, four miles north of Escanaba. Opening expected during early summer. The B & D opened in 1949 and closed in the fall of 1956. The B & D DIT closed on 10/6/1956. The managers (Edsil & Dona King) had a thank you note that appeared in the ad that day. 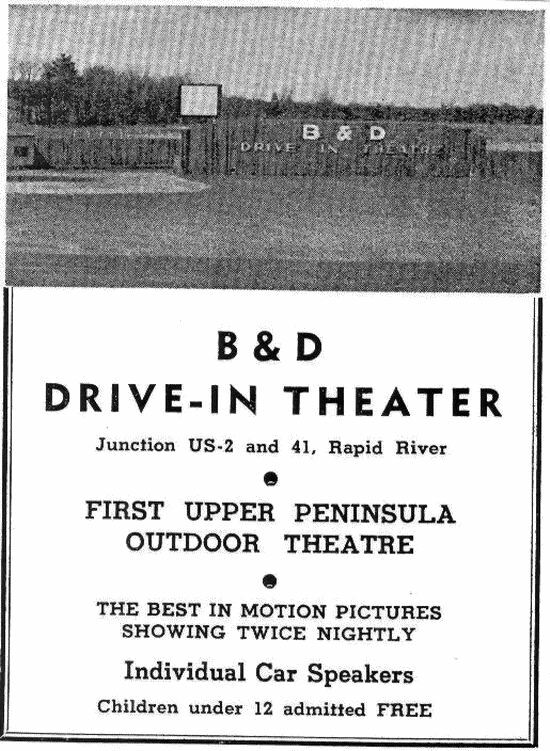 The B & D opened on September 16, 1949 - the first drive in to open in the Upper Peninsula. I havent nailed down a closing date, but it was open in July 1956 and was not open in July 1957, so probably fall of 56. Very little is known about this location, I did see a lot that did look suspect. More research is required to determine if these pictures in fact are the former DI.